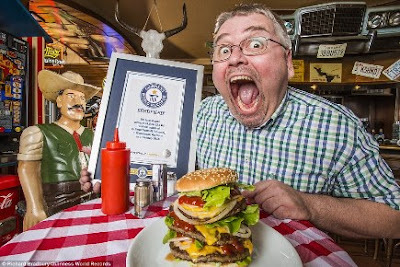 New entries in the 62nd Guinness World Records 2017 revealed! From leaping llamas to overgrown lapdogs, the 62nd Guinness World Record winners have been announced, and this year’s band of bizarre achievements and wonderfully inspiring feats do not disappoint. Pets around the world competed for the title of the biggest in their category. The longest tail on a dog, the longest pet cat and a llama who has made the highest jump are just a few entries to make this year’s record book. 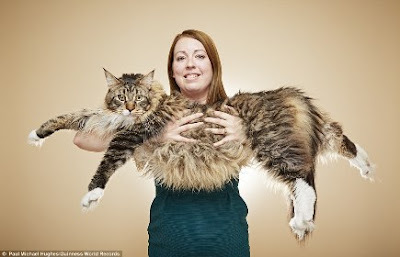 Ludo is the world’s longest cat, at 3ft 10.6in. He is three times the size of a domestic cat. 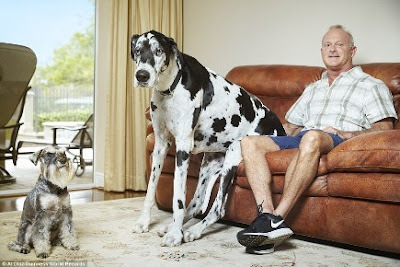 At 37.96 inches tall, a female Great Dane named Lizzy takes the tittle for the tallest in her category. Florida pensioners Charlotte Guttenberg and Chuck Helmke are the most tattooed senior citizens – male and female – in the world. Ms Guttenberg, 67 has covered 91.5% of her body with tattoos since first being inked just 10 years ago. Mr Helmke, 76, who sat beside her in the tattoo parlour to help ease her nerves as she had her first tattoo, has 93.5% of his body covered in tattoos. All of this work was done in the last 16 years apart from one army tattoo. Britons also didn’t shy away from having a few records of their own. 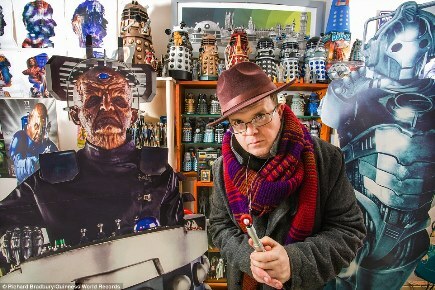 Ian O Brien has the world’s biggest collection of memorabilia from the hit TV series ‘Doctor Who’. O Brien from Manchester, UK, says he first caught the Whovian bug after watching Planet of the Daleks – an episode from 1974 and recalls being captivated watching the Daleks trying to bash down a barricade. He currently has more than 1,573 items. 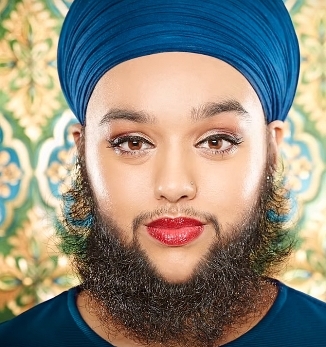 24-year-old catwalk model Harnaam Kaur from Slough, who has six-inch long facial hair, was given the title of the youngest woman with a full beard. Ms Kaur said the record was “absolutely humbling” as the beard has been part of her quest to overcome years of bullying. To see all of these amazing people and many more grab a copy of the Guinness World Records 2017 on sale this month, priced £20. At Discount Insurance we believe in protecting all that’s valuable to you so get a Quote by calling 0800 294 4522 today on our diverse range of policies, from Home Insurance to Pet Insurance.